Google AMP rolls out to main mobile search results. Last month, Google had been warning webmaster that it would be bringing AMP results into the 10 main mobile search results. The change is apparently live (at least for US users). AMP results are now displaying in the 10 blue links. Google later confirmed AMP results were rolling out to the main mobile search results. 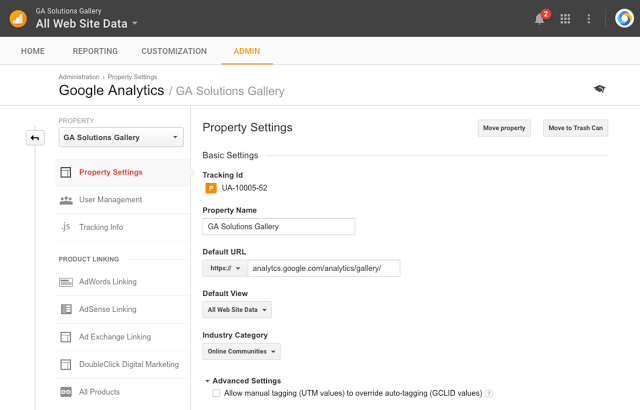 Google adds ability to move properties between accounts in Google Analytics. Google now allows Google Analytics users to consolidate scattered properties into one account. Consolidating properties allows users to apply the same set of filters to the views in all properties, easily manage users for the properties and views in a single account, and use change history to see all events from all properties in the same account. In order to move a property from one account to another you must first have access to both accounts. No retagging is needed when moving properties between accounts. Google claims recent algorithm updates part of ‘normal fluctuations’. This past week, webmasters noticed large fluctuations in their search results, as did tools like Mozcast, Accuranker and RankRanger. However, John Mueller tweeted, in response to numerous questions, that the fluctuations in the search results were normal. It is doubtful that many will accept this response. 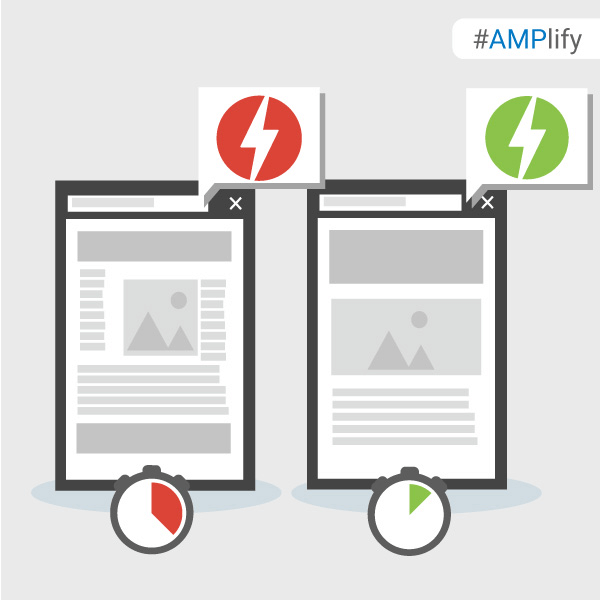 Google explains how to best fix AMP pages. Google created a post that explains the best way to debug and validate your AMP pages (since only ‘valid’ AMP pages are displayed in search results). The post reviews both the AMP web validator and AMP browser extensions tools that webmasters can use to diagnose issues. Google rolling out image thumbnails in mobile search. Google had been testing image thumbnails in mobile search results for product based searches. Apparently, the test is now rolling out to everyone. It is unclear how Google determines the image to be displayed in search. Google Webmaster Hangouts move to YouTube Live Hangouts. John Mueller has been faithful in maintaining a weekly video hangout to answer the questions of webmasters. The hangouts had been run in Google+ hangouts, but have now transitioned over to YouTube Live Hangouts. The transition occurred because Google was closing the hangout on Google+. The next hangout will happen on September 23rd. Google Data Studio now in beta. Google Data Studio is a new part of the (paid service) Google Analytics 360 Suite. The tool allows marketers using Google Analytics to easily create reports from the data in GA. The tool is flexible and allows you to change fonts, colors, charts, etc. It provides an easy way for users of Google Analytics to create reports for both in-house and client-facing needs. Google is currently allowing users of free Google Analytics accounts to test out the new tool. Google lowers image search box in web results. Mozcast tweeted a lowering of the image search box in search results. A couple different tools noted the drop as well. 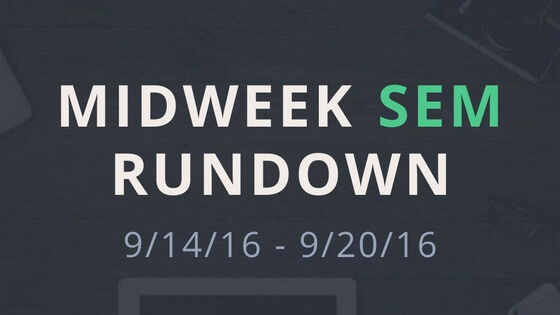 The number of search queries with an image search box dropped by nearly 50 percent. Google adds Courses to its schema markup. Aaron Bradley spotted the change and tweeted that Google had added schema markup for courses. The new markup includes fields for the course name, course provider and a description of the course. Disqus comments adds AMP support. Disqus announced they have added support for Google’s AMP. Using the <amp-iframe> tag, Disqus is able to bring their comments into AMP pages. Disqus has posted a getting started document. Android Chrome adds ‘Make page mobile-friendly button’. Beginning last month, it was noticed that Chrome for Android was adding a button at the bottom of non mobile-friendly web pages. The button prompts the user to view a mobile-friendly version of the webpage. If clicked, the text is resized and distributed on the page in a much more user-friendly manner. Google’s interstitial penalty applies to pop-up on scroll. During a Google Hangout, John Mueller was asked if pop-ups triggered by user scroll would be targeted in Google’s interstitial penalty. Mueller responded that yes, if the pop-up is blocking the content of a page, even after scroll, Google would consider it problematic. Google still has no date for the Penguin update. It is nearing two years since the last Penguin update and Google still has not rolled out an update. Last week, John Mueller said that Google was working on an announcement regarding Penguin 4.0, but recently tweeted that there are no dates to announce for Penguin. Everyone keeps guessing, but we all just keep waiting. Bing Ads rolling out Structured Snippets for text ads. Bing Ads is rolling out Structured Snippets for text ads globally over the next few weeks. Structured Snippets are not clickable by users. They only display additional information for that can include: Brands, Types, etc. Up to 20 Structured Snippets can be associated with a campaign or ad group and up to 10 snippets can display with an ad. You can find Structured Snippets in the Ad Extensions tab at the campaign and group levels. Structured Snippets from Adwords campaigns can be imported into Bing Ads. Google will begin reporting null quality scores on Oct 10, 2016. When a quality score could not be determined in Adwords a default score of ‘6’ was given. However, the default scores will be replaced with dashes, giving a null score. The rollout of these null scores was initially planned for Sep. twelth but has now been postponed to Oct 10. You should notice null scores for your newly added keywords or keywords that haven’t seen recent activity. AdBlock Plus now selling its own ads in place of blocked ads. In a twist of irony, AdBlock Plus has launched its own ad platform. Through a partnership with ComboTag, AdBlock Plus is opening the Acceptable Ads Platform, which will display ads over top of the ads that were blocked. AdBlock Plus is currently not displaying ads on publisher websites if the publisher has not adopted their new ad platform. AdBlock Plus also makes money by whitelisting certain companies like Google, Bing and Taboola to have their ads displayed (when the ads would normally be blocked). We will have to wait and see if users switch from Adblock Plus to one of their competitors over the issue. In response, Google has terminated its relationship with ComboTag. Google’s Sridhar Ramaswamy said the relationship was ending because, “this is not a business that we want to be a part of”. Adwords conversions for shopify users double counted. Google posted a note in their Adwords Help forum that warns Shopify users of potentially double-counted conversions. Shopify recently made an update that allows users to check past orders by viewing the Shopify confirmation page. Unfortunately, this page includes the conversion tracking pixel. This results in the double counting of conversions within Adwords. To avoid this, Adwords users need to update their conversion tags to include the Order ID. Here is how to do that. Bing Ads supports bulk campaign editing. Bing announced that users of their mobile apps now have the ability to manage multiple campaigns at the same time with bulk editing. Users can now enable or pause multiple campaigns, ads and keywords simultaneously rather than one at a time. Are these the requirements for detailed Keyword Planner data? Google explained that a threshold of activity needed to be reached in Adwords in order for users to access exact traffic estimates within the Keyword Planner tool. However, they were not sharing what the threshold was. One advertiser had their Adwords rep give them a bit more information. You must be running campaigns with clicks for a minimum of 3-4 months to gain access to focused keyword data. The exact spend needed over this time period is still unclear. Google announces updates in Universal App Campaigns and YouTube ‘TrueView for Action’. At DMEXCO 2016 Google announced that its app ads had driven 3 billion installs for developers. Google followed up the announcement with an unveil of the ability to run event-based optimization in Universal App Campaigns. Universal App Campaigns adjust ads in real time to target the more valuable users for a brand, based on past user behavior. Google also announced a new YouTube campaign called ‘TrueView for Action.’ The new campaign lets advertisers make video ads more actionable with tailored calls to action during and after the video. This campaign type will hopefully drive direct traffic in addition to building brand value. Big brands join together to form the Coalition for Better Ads. Due to the increasing percentage of people using ad-blocking technologies, big brands are forming a coalition to improve the quality of online advertising. The coalition will be using technology developed by the Interactive Advertising Bureau (IAB) to better serve ads that are safe, fast and secure. Founding members of the coalition include: Google, Facebook, Unilever, Procter & Gamble, the 4As, The Association of National Advertises, The Washington Post, the World Federation of Advertisers, GroupM and the IAB. 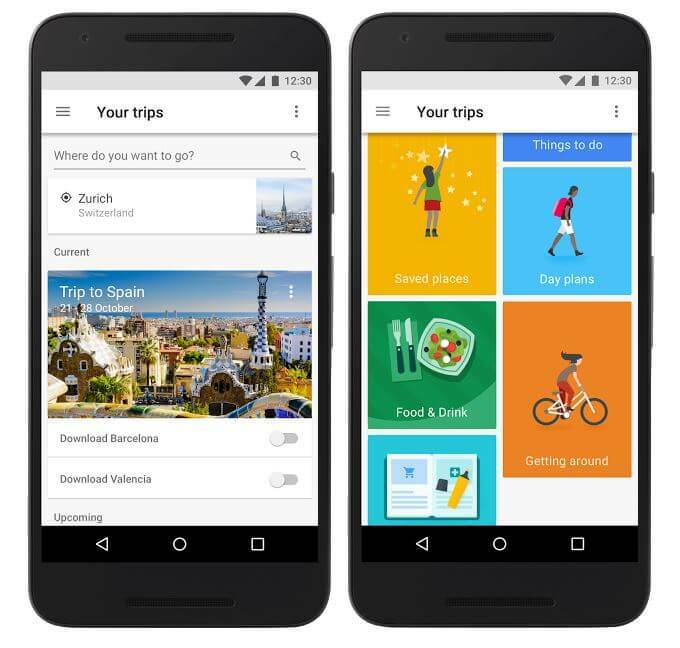 Google Trips is a digital travel companion app that includes local information grouped in categories: reservations, day plans, things to do, food & drink, etc. The app data is available offline and users can download trip information and save it on their phone. Google Trips is available on Android and iOS. Google brings trip planning to desktop. Google added the feature to plan trips in the Map Results for Android and iOS mobile users. The function allowed user to see weather information, flight durations, points of interest and visit itineraries. This feature has now been added to the knowledge box section on the desktop search results. The destination information is posted in a ‘Plan a trip’ section of the knowledge box. Google testing local pack below organic results. In an odd test, Google is running a SERP layout with the local pack placed at the bottom of the page. Daniel Thomason posted a screenshot of the test. IOS10 Apple iMessage adds transactional local apps. IOS10 includes an updated version of iMessage that comes with an App store and the ability for third party developers to build app integrations like stickers and app extensibility. New stickers can easily be created an added to apps and developers can also add iMessage apps. With the new functionality, users will be able to tap into the 2 million third-party apps in the App Store.